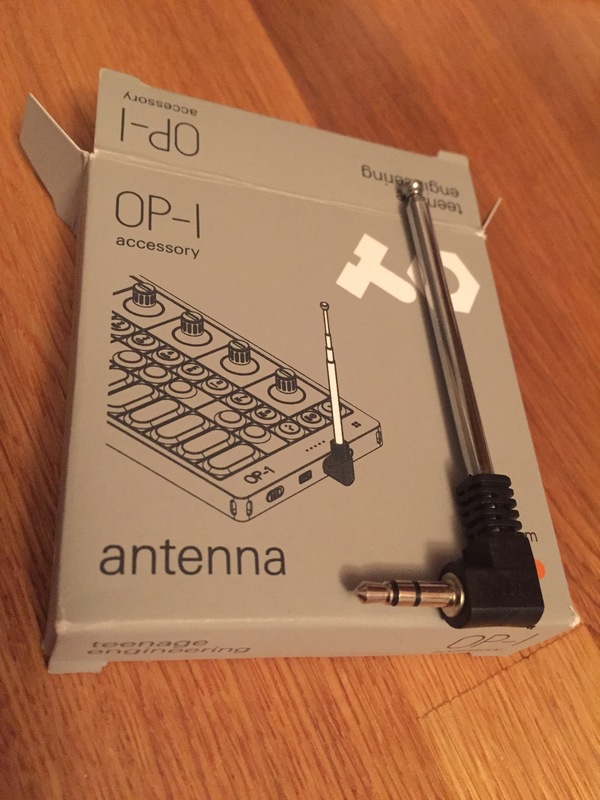 I’ve always wanted to try out the FM radio on the OP-1 for sampling, but, until now, I’ve not had the actual antenna to do this. Not so anymore! This is an awesome Christmas present, a tiny box with delicate tissue paper inside. And nicely wrapped up inside was the FM antenna. Small, neat, functional. Just what you’d expect from Teenage Engineering. But the tissue paper itself was a revelation! 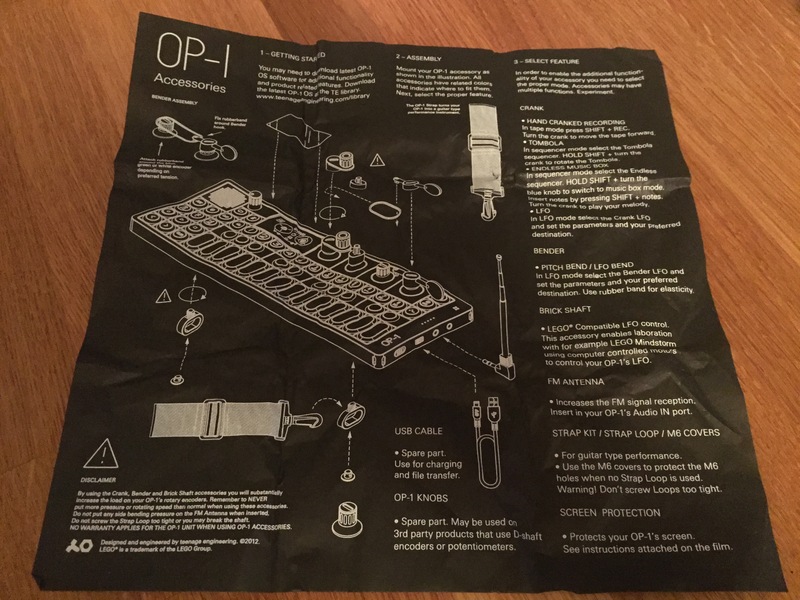 It is beautifully printed with all the OP-1 accessories. Really nicely done. 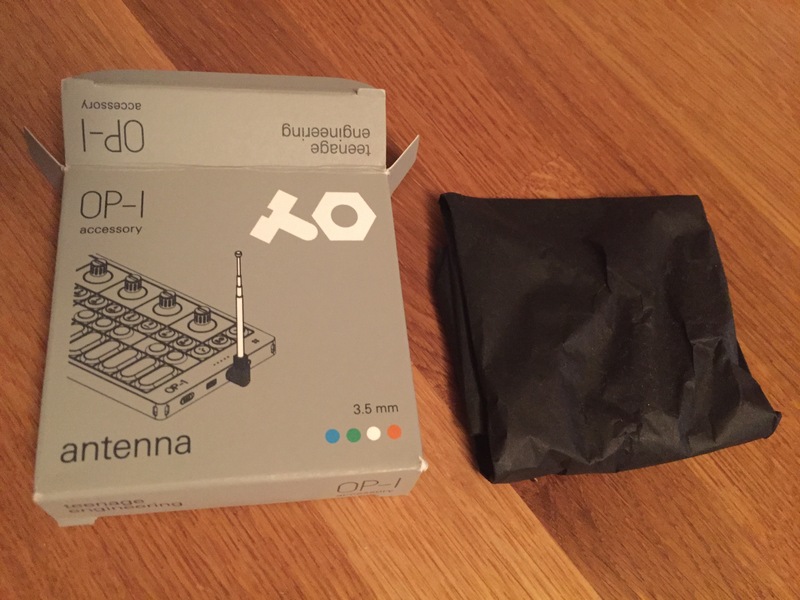 And here’s the antenna sitting on the tissue wrap. 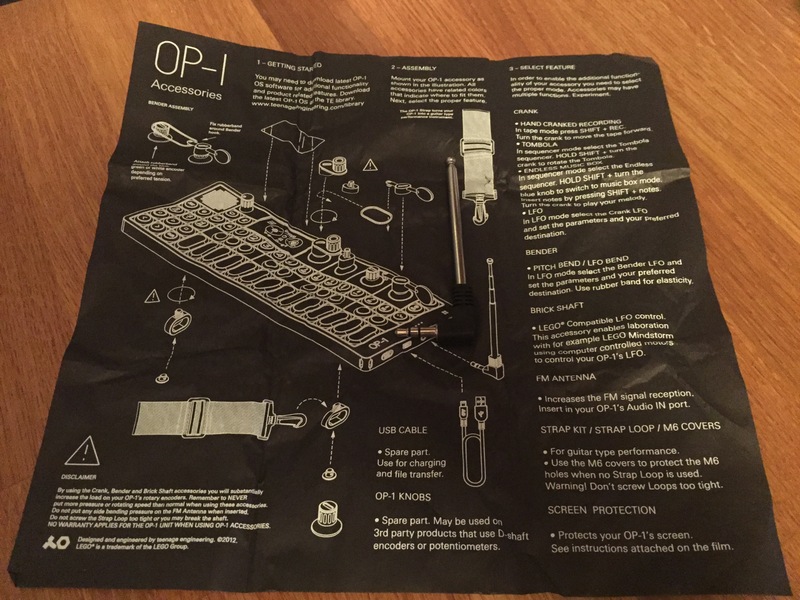 And finally in the OP-1 itself. 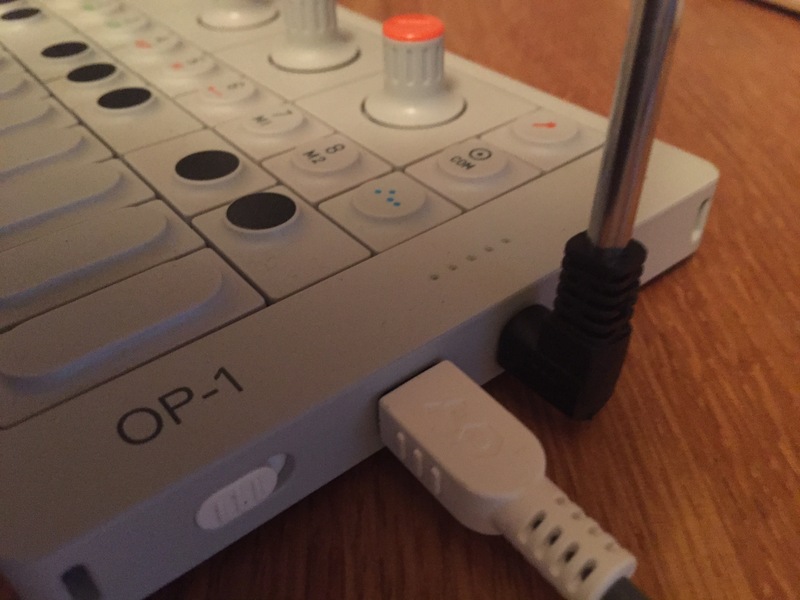 I’ve only had a brief try with this in the OP-1. Recording some random FM radio and using it as drum samples. 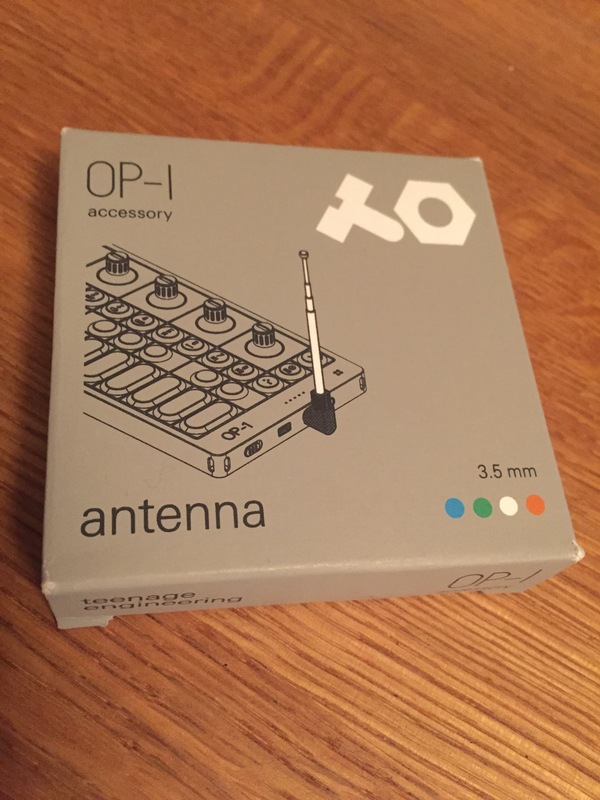 It’s pretty good though, so expect a few strange OP-1 drum kits in due course.